Gund is proud to introduce Ponyo — an adorable goldfish who longs to become human to reunite with the little boy she loves from the beloved animated Studio Ghibli film Ponyo. 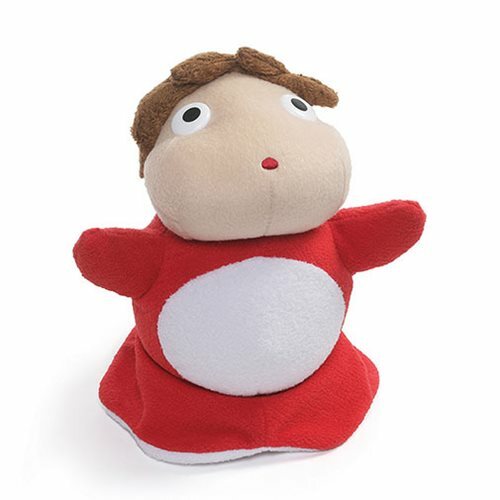 Ponyo and Sosuke embark on a fantastic journey of friendship and discovery in this modern retelling of The Little Mermaid This Studio Ghibli Ponyo 7 1/2-Inch Plush features accurate character details of Ponyo's fish form from the film that are sure to please Studio Ghibli enthusiasts of all ages. Surface-washable for easy cleaning. Measures about 7 1/2-inches tall x 7-inches long x 6-inches wide. Ages 1 and up.